Each year, the Door County Board of Realtors® honors one of its members with the Realtor® of the Yearaward, which recognizes contributions both to the real estate profession and to the community at large. 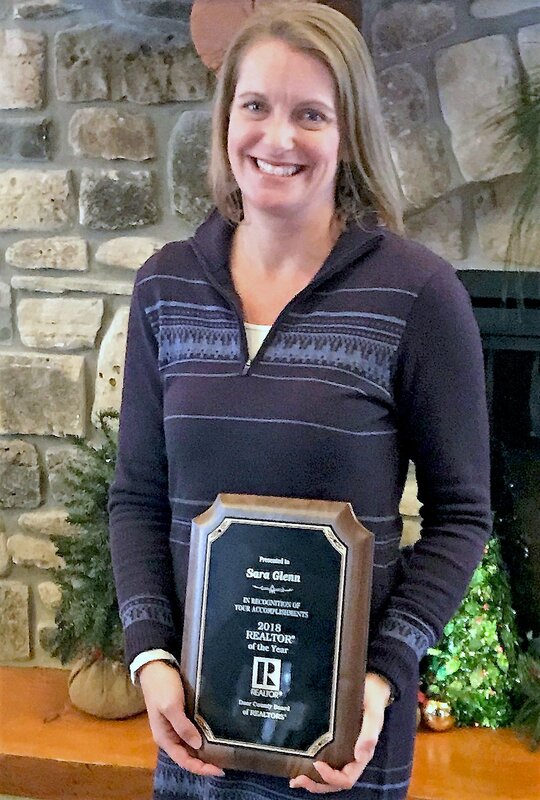 This year, the award’s recipient was Sara Glenn, an active member of the Door County community since 2002 and co-owner of True North Real Estate LLC.Saraserves on the Door County Board of Realtors® MLS Board, including three terms as president, and strives to keep abreast of trends and new developments within the industry. Outside of work, Sara supports many local non-profits, including serving for more than ten years on the board of directors for Peninsula Players Theatre. 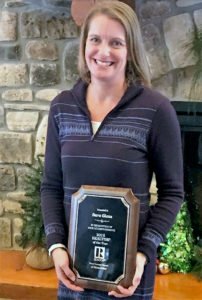 Along with her partners, Brian Reinhardt, Dan Mortier, Jacinda Duffin, and Kevin Nordahl, Sara owns True North Real Estate in Fish Creek, the top-producing real estate brokerage in Door and Kewaunee Counties. Originally established in 2008, True North has continuously led the Door/Kewaunee MLS in sales production for the past seven years, including in 2018. Sara has contributed significantly to True North’s success both as the firm’s managing broker and as a high-performing salesperson. Sara and her partners are proud not only of True North’s success but also of its impact on the community through sponsorship of local non-profits and community events.